Paris is a 19th century city, transformed from its medieval plan and way of functioning by Napoleon III and the Baron Haussmann. 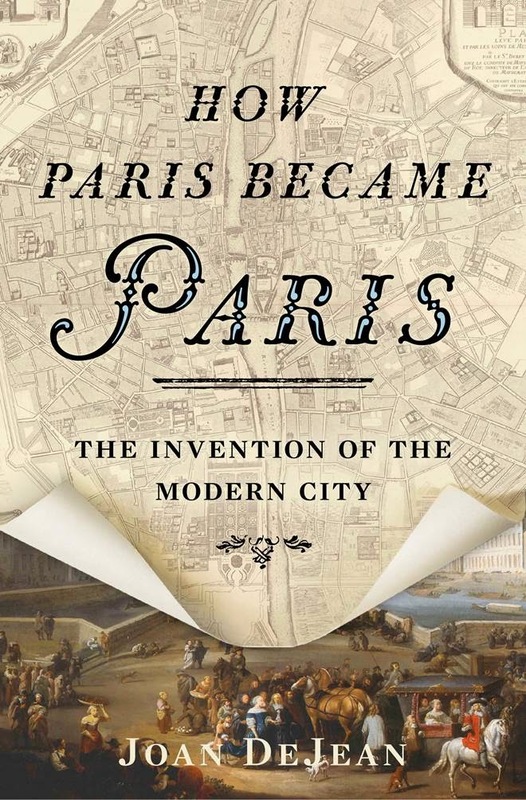 Not so says historian Joan DeJean who in her new book ‘How Paris Became Paris’ argues that the city's most important developments came much earlier. Here I briefly review the book and speak to its author about some of the issues she raises. Paris may have been the French capital for several hundred years, but for historian Joan DeJean the city held little importance until Henri IV arrived at the end of the 16th century. "Paris was big" she explains, "but in no way a functioning capital." The various developments undertaken by Henri IV and subsequent Bourbon monarchs helped transform Paris into the world's first modern city. These developments were based around spectacular architectural creations, but went beyond this to include other aspects that remain essential to the image of Paris today, including fashion, shopping and tourism. Joan DeJean explains clearly how these developments came about and why they were important. Perhaps most interestingly of all, her arguments are developed not just from official documents of the time, but also from an extensive analysis of contemporary paintings and illustrations. In addition, she makes frequent reference to travel guides, a growth industry during this period and often written by witnesses from outside France who could give external viewpoints on the changing city. DeJean’s main focus is on three key developments; the Pont Neuf, the Place des Vosges (Place Royale) and the Ile Saint Louis. She explains how these still popular locations also helped to develop wealth, tourism, social life, creativity - even romance and infidelity - and how they were shared by all strands of the population, rich and poor, male and female, old and young. By creating a new ‘beautiful’ city – and one that could function 24 hours a day - the Bourbon monarchs revolutionised what a city could be, and one that would be copied the world over – including by Paris itself during the second empire! As an expert of Paris in the 17th century, it is perhaps normal that Joan DeJean should not look beyond this period. In the case of Paris though it is somewhat frustrating. DeJean’s Paris is a utopian and egalitarian city, a place of beauty, plenty and well-lit paved roads. One imagines the reality – certainly outside of these key developments – to be somewhat different, but this is only briefly touched upon. There is little discussion on how these changes affected the vast majority of the population, nor the country as a whole outside of Paris. The city’s development and the country’s taste for war enabled the development of money lenders and wealth creation in Paris, and the majority of changes brought about – including street lighting – were geared primarily to their needs. The end of the reign of the Bourbons famously came about with a revolution in 1789. One wonders to what extent the transformation of Paris into a place of wealth and spectacle paved the way to this conclusion. This leads to another of the book’s drawbacks. DeJean’s arguments are persuasive, but also devoid of context. There is no analysis of the work of previous historians, and no attempt to position her perspective in relation to previous theories. Is DeJean making new arguments here or repeating generally agreed facts? We’re never quite sure. Nevertheless, Joan DeJean’s latest book is an admirable and eminently readable publication. By tracking down long-forgotten contemporary guide books and rarely-seen pictures from the depths of the Musée Carnavalet she perfectly captures the atmosphere of the 17th century city. Paris may not have become truly modern at this period, but it did become – in some key aspects – the city we know today. 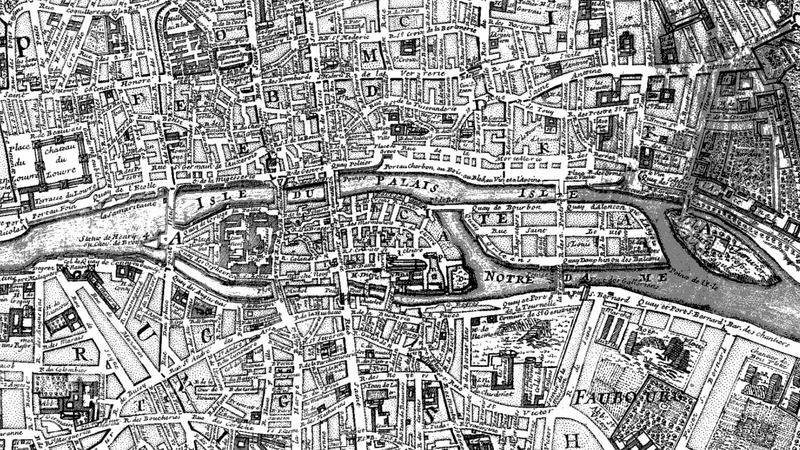 What were the developments at the beginning of the 17th century that made Paris 'the first modern city', and why did they appear at this particular time? JD: At the beginning of the 17th century, Paris was just emerging from decades of devastation during the Wars of Religion that had pitted Catholics against Protestants. Henri IV, the king who had brought religious violence to an end, was also actively interested in revitalizing both the French economy and France’s economic center, Paris. He supervised the completion of one of the most revolutionary urban works in Paris’ history, the Pont Neuf or New Bridge. He also planned and began construction of the Place des Vosges and initiated the Île Saint-Louis project. Not a bad track record for a monarch who was assassinated after he had ruled for little more than a decade. There has always been a rive gauche/rive distinction in Paris but perhaps the most emblematic construction of this period, the Pont Neuf, links both. Why was this bridge so important to the development of the city? The Pont Neuf provided a new river crossing that joined left and right banks at a particularly critical juncture near the Louvre. In addition, the New Bridge literally reinvented the concept of a bridge. Unlike other major urban bridges of the day such as London Bridge, it was built without houses, thereby making it possible for those crossing it to become river tourists and to enjoy the view out over the Seine. Its innovations proved so popular with Parisians that the bridge became a vibrant gathering spot, a center for urban activities ranging from open-air shopping to street theater. In addition to changes in the city's urbanism, you also detail the development of activities such as shopping and fashion in this period. How important were these in the development of Paris? All those who planned the rebirth of Paris in the 17th century – Henri IV, Louis XIV, Louis XIV’s chief minister Jean-Baptiste Colbert – were conscious of the ways in which a beautiful capital city could have a major impact on the French economy. They were also consistently mindful of the interests of Paris’ business community. There was therefore nothing accidental about the development of new venues for shopping in 17th-century Paris or about the new prominence that fashion then took on. Paris became the European capital of style as a result of careful strategic planning. During this period, Louis XIV made a surprising decision to remove the city's fortifications and replace them with a boulevard of trees and paths. What was the significance of this choice? In the 1660s, other European cities were still adding new fortifications in an effort to shut themselves off from the outside world and thus protect their inhabitants from invasion. In 1669, Louis XIV announced that his military victories had made Paris safe. He ordered its fortifications to be demolished and replaced with a massive tree-lined thoroughfare soon known as “the boulevard.” This was the original boulevard, the model for all boulevards and parkways to come – not only those added in Paris in the 19th century but also those in cities all over the globe, such as Philadelphia’s Benjamin Franklin Parkway. Although Paris took certain steps towards modernity in this period, the city remained largely unchanged afterwards until the Baron Haussmann arrived. Why did this march towards modernity come to such an abrupt end? Many of the developments I discuss continued in the 18th century. The boulevard around the city’s Left Bank, for instance, was completed only in 1761. But both Louis XV and Louis XVI were far more concerned with Versailles and the court culture that developed there than they were with the creation of an urban culture in Paris. 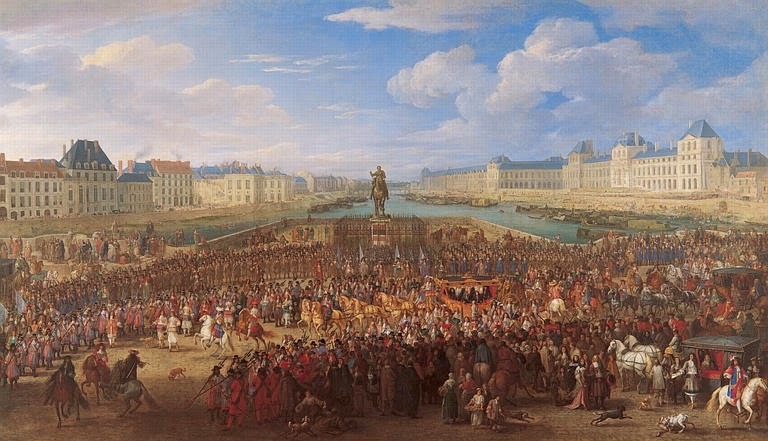 In the 17th century’s opening decade, Henri IV chose to live in Paris, and Louis XIV’s life was centered on his capital city for the first two decades of his reign. Those three decades during which a French monarch was able to supervise Paris’s development first-hand were crucial for the city’s reinvention. The unmentioned event which looms over the book is the French Revolution that came shortly after the developments that you detail. Do you think that in some way the two things - the creation of a modern city and revolution - are linked? I really don’t believe in any easy link between revolution and modernity. At many times in its history, Paris was a theater of revolution, but each time, the relation between urban upheaval and political upheaval was different. The urban works of 19th-century Paris are always said to have been implemented in an attempt to prevent uprisings. But the Pont Neuf, the first monument of modern Paris, had the opposite effect: in various ways, it made the Fronde, the aborted revolution of the mid-17th century, possible. Was the transformation of Paris into a modern city good for all its inhabitants? As you explain, the changes enabled the growth of a new breed of 'millionaire', people who were also encouraged to flaunt their wealth. The changes that came about because of the new economic developments – in particular, the rise of the financier – were certainly not always good for the majority of the population. However, as I stress in my chapter and truly believe, the financiers should not be blamed for these changes. Had the cost of war not risen dramatically in this period, and had the Bourbon monarchy not believed that it was essential to continue to wage war on a large scale, they might not have felt the need to turn to financiers. A final - more personal - question. Why did you choose to become an expert in the history of Paris? I grew up in Louisiana, in a small town in the heart of Cajun country. In my family, my generation was the first to use English as a first language; I was the first person with an Anglo-Saxon first name. But my cultural heritage was overwhelmingly French, so it’s not surprising that I chose to study the period when the French influence in Louisiana was strongest. And for anyone who works on France, Paris naturally plays a big role. For me, it’s not only a place where I spend a great deal of time, but the place where I do most of my research and writing. It was a special privilege at the end of an afternoon spent reading 17th-century documents on the history of the Place des Vosges to be able, after only a three-minute walk, to stand in the actual square and think about what I had learned as a lived experience. Some readers might be interested to know that many other historians, based in both France and the US, have challenged the idea that Haussmann invented modernity (an idea which comes not insignificantly from the fact that his Mémoires were taken at face value, when unsurprisingly they glorified his own intervention). The collected volume La Modernité avant Haussmann comes to mind. While Dejean focuses on pre-19th centurty monarchs' contributions to urban form, other work has been done to showcase earlier versions of urban planning as well (such as 17th century planners of Nantes). What's interesting is that Dejean's book seems to take the old ruler-centric approach to Haussmann and apply it to ancien régime (so, a focus on kings as the movers and shakers here). In any case, it's no longer accepted by historians that Haussmann invented Parisian/urban modernity--that's a straw man. Thanks for your comment Julie and for launching the debate! I think the interesting thing here is the concept of modernity and the physical appearance of Paris. I think 'modernity' is a shifting notion, with very elastic boundaries. 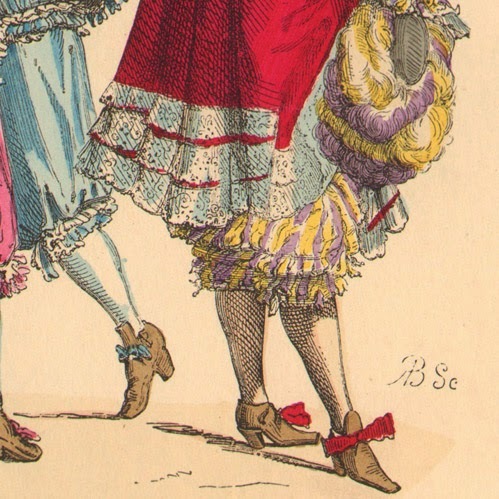 I find it hard to describe pre-revolutionary France as truly 'modern' though. Superficially and in large swathes, Paris still has the shape and appearance of its 19th century self. What Joan DeJean does well though is point out how Haussmann's projects were very largely based on earlier schemes. In terms of specifics, "La Modernité avant Haussmann" the authors show how many of the lines of grands boulevards that would be attributed to him later had in fact already been planned even begun as projects before he ever entered the office of the Prefet. Maybe it is just easier for the "outsiders" to see things with the different eyes and notice the significant urban developments. I visited Paris two years ago and noticed without much research of the history of the Paris urban developments importance of two public spaces mentioned in the above mentioned book. Is that a coincidence? I think this article is both true and not true. One of Napoleon III bright ideas, (many bright ideas) was to redesign Paris to capitalise on what was already there ! So the existing became the focal points for the future and when a focal point was missing, he developped it. Before N3 there was a prefect named Rambuteau. He did the first rebuilding, put in footpaths for pedestrians and installed the gas lighting... All this is well explained and researched in a recent book titled "Paris Reborn" ( very apropriate title)by the American Architect Stephane Kirkland. I believe the French version is coming out shortly. But thre is no doubt that today's modern Paris was born with the very global strategy, led by N3 and implemented by Haussmann. Unfortunately many "politicians" are trying very hard to screw this up now!!! Adam, than you for another fine blog. I have long admired the work of Professor DeJean and am currently reading, and thoroughly enjoying, How Paris Became Paris. The interview was a fine addition; I learned much from it. 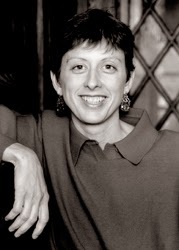 Thanks for your insightful review of "How Paris Became Paris" and subsequent interview with its author, Prof. Joan DeJean. 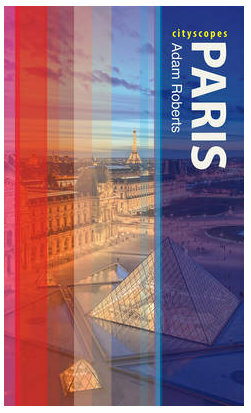 I've just recently finished the book and am trying to cram in as much reading on the history of Paris before visiting in a couple of weeks. Coming from Washington, D.C., the history on the Pont Neuf was instructive in the context of the proposed "11th Street Bridge Park". I've been trying to read as many of your posts as I can. Really enjoy your investigative work with use of maps, land records, old photos and more.